"Keep on Running" is Ronnie Biggs’s first and only novel, a book that draws on the true events surrounding the Great Train Robbery. It gives a dramatic and fast paced account of what may have happened to the three men at the track who were never caught or charged. It covers their lives before, during and in the years immediately after the robbery in August 1963. 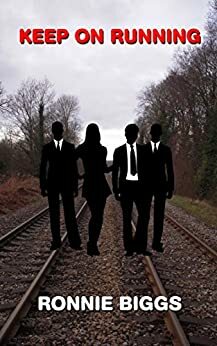 It also features the shadowy character known to people on both sides of the law as the Ulsterman, and provides a dramatic solution to the puzzle as to whether or not there was a shipment of jewels on board the train and, if there was, why the owner never came forward. With "Keep on Running", Biggs has produced a gripping, imaginative and highly entertaining novel where the lines between truth and fiction are continuously blurred. Great Storyline! Definitely worth the read!